UNC - Socket Head - Cap Screw - Alloy Steel - Heat Treated. Supacheap bolts stock No 10-24 (3/16"), 1/4", 5/16", 3/8" and 7/16" diameters and lengths to 2" in certain sizes. Socket head cap screw lengths are measured from under the head. UNC - Socket Head - Cap Screw - Alloy Steel - Heat Treated high tensile screws or also known as allen screws. Our socket cap screws are manufactured in high tensile alloy steel and are available in black finish or a zinc plated finish for corrosion protection. Suitable for high strength bolting into threaded components and assemblies in manufacturing, mining and engineering industries. 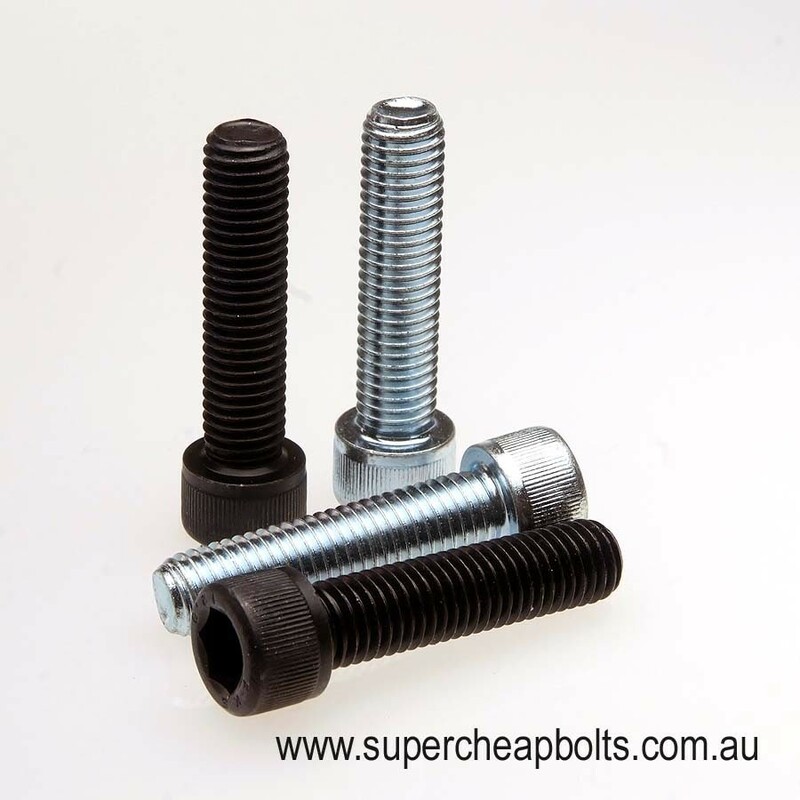 Supacheap bolts stock No 10-24 (3/16"), 1/4", 5/16", 3/8" and 7/16" diameters and lengths to 2" in certain sizes. Socket head cap screw lengths are measured from under the head.